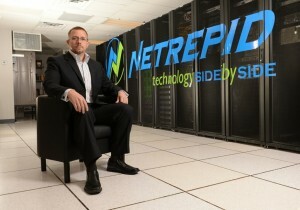 Sam Coyl is the President/CEO of Netrepid, a provider of infrastructure hosting services that work side by side with growing companies to accelerate their technology evolution from the ground to the cloud. Since founding Netrepid a decade ago, Sam has led the company on an evolution from providing excellence in wireless technology installation into one of North America’s Top 100 Hosting Service Providers. Sam has also been the driving force behind the successful acquisition of three other technology companies (PA Online, GameChanger Technologies, Lion Technology) and completed projects for nationally-recognized organizations like Hershey Entertainment and Resorts, BAE Systems, and Geisinger Health. A former US Marine with 9 years of service, Sam has been recognized as one of Pennsylvania’s top executives under 40, serves as a board member and advisor for education and business incubators, and has founded his own virtual incubator for PA startups, the Netrepid Virtual Incubator. His 18 years of experience in wireless technology has also been recognized by Certified Wireless Network Professional, which has tapped him as a technical editor for its certification study guides on multiple occasions. He is also a contributor to ‘The Price Of Business,’ a drive-time business talk radio show on the Bloomberg Radio affiliate in Houston, Texas. To book Sam Coyl as an expert at your next event, please contact us today and one of our team members will get in touch with you as soon as possible. Want To Connect With Sam Coyl Of Netrepid?